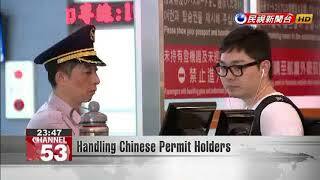 Last month Beijing began instituting the China Residence Permit for Taiwanese living in China. The move was largely seen as a ploy to unify Taiwan. Now three Taiwanese civic groups want their government to get tougher in response. In a joint press conference today, the groups recommended that those who possess China's residence permit should be barred from public service. They must also report they have the permit and complete registration for being a dual national to keep their citizens' rights. The groups also recommended that permit holders who obtain a Chinese passport, register their address in China, or hold a position in the Chinese Communist Party or the Chinese military should lose their household registrations in Taiwan.